Unmanaged 8 Port Industrial 10/100/1000 BaseT Gigabit Ethernet Switch. 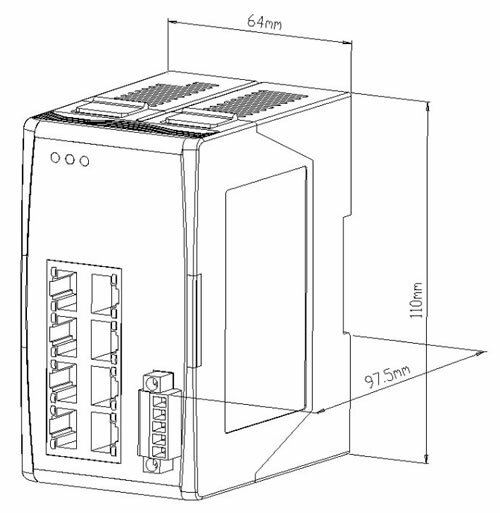 Supports operating temperatures from -30°C ~ +70°C (-22F ~ 158F). 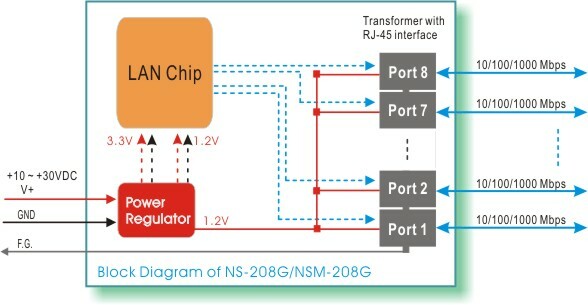 The NS-208G has 8 Ethernet Switching ports that support 10/100/1000 Base-T, with a 10/100/1000M auto-negotiation feature and auto MDI/MDIX function. It can connect 8 workstations and automatically switches the transmission speed (10 Mbps or 100 Mbps or 1000Mbps) for corresponding connections.The flow control mechanism is also negotiated. There is link/data rate LEDs for each port to aid trouble-shooting. 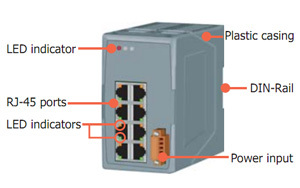 Port connectors are shielded RJ-45.